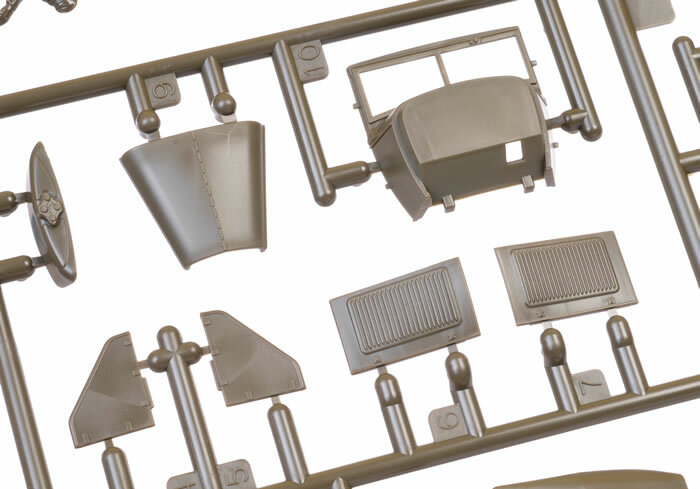 Contents and Media: 47 parts in olive green plastic covering the vehicle and the driver; 38 more new parts in grey plastic delivering four soldiers riding in the cargo tray; a sprue of 54 parts providing weapons and accessories; two parts in clear. 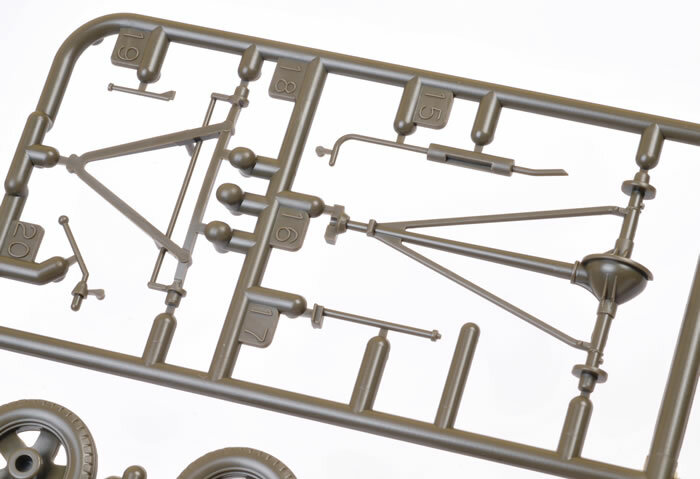 This is another easy to build but well detailed addition to Tamiya’s 1:48 scale Military Miniatures series. The GAZ-MM was a versatile vehicle used all throughout the war, so this model will be useful for many dioramas, including crossover aircraft subjects, or will be an attractive little model if displayed on its own. As the Ford Model T and TT became obsolete and needed to be replaced, Henry Ford began initial designs on the Model A and Model AA in 1926. 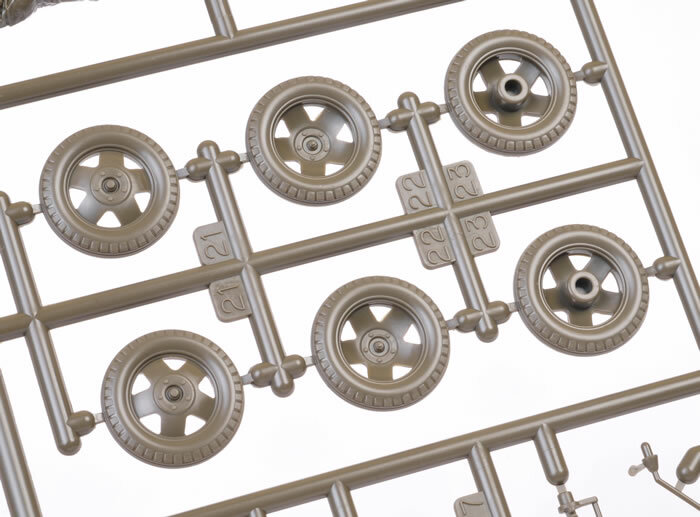 Basic chassis layout was done rapidly and mechanical development was moved forward quickly. The designs of the Model A shared parts and materials with the Model AA Ford, notably the body, engine and interior. The AA usually received plainer interiors than their car counterparts. In May 1929 the Soviet Union signed an agreement with the Ford Motor Company. Under its terms, the Soviets agreed to purchase $13 million worth of automobiles and parts, while Ford agreed to give technical assistance until 1938 to construct an integrated automobile-manufacturing plant at Nizhny Novgorod. Production started on January 1, 1932, and the factory and marque was titled Nizhegorodsky Avtomobilny Zavod, or NAZ, but also displayed the "Ford" sign. GAZ's first vehicle was the medium-priced Ford Model A, sold as the NAZ-A, and the Ford Model AA (NAZ-AA) light truck. In 1938, the GAZ-AA was upgraded with a 50 horsepower engine and improved suspension. By 1941, with materials in short supply but the demand for transportation at a premium, a stripped down version was produced with simplified mudguards and non-essential parts such as doors, the front bumper bar and even one of the headlights removed. This improved and simplified version was labelled the GAZ-MM. The latest in Tamiya’s growing 1/48 scale Military Miniatures series is this spartan Soviet workshorse, coyly labelled “1.5ton Cargo Truck Model 1941”. 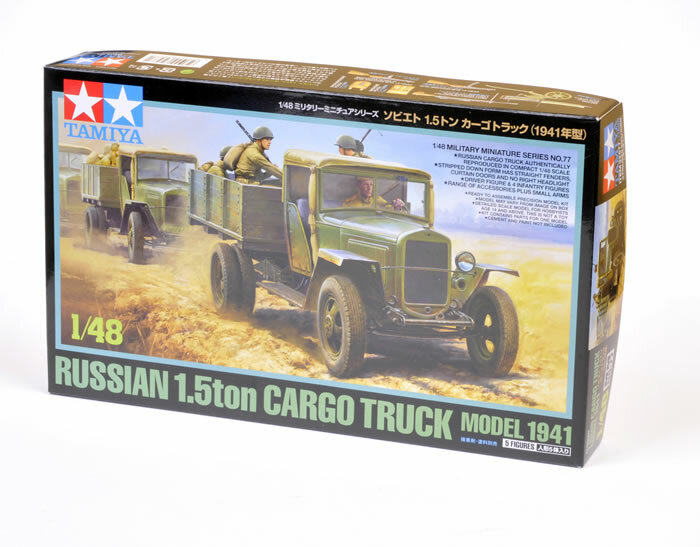 Unimodel (UM) released a 1/48 scale GAZ-AA truck a few years ago, but Tamiya's release has nothing to do with that kit. 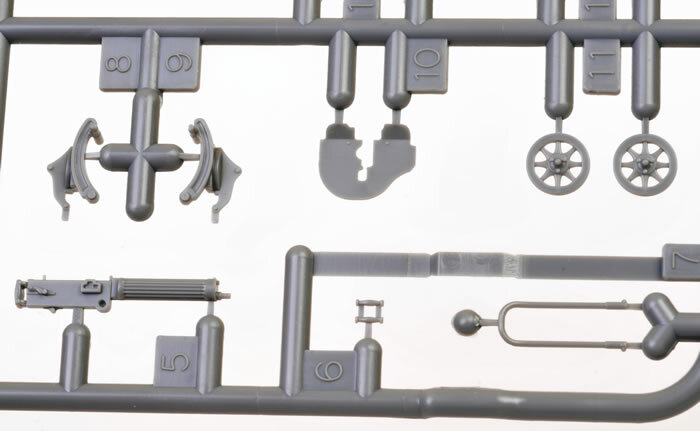 Whereas the UM kit repesented an early version with full metal doors, curved mudguards, bumper bar and two headlights, Tamiya's is the later simplified version. 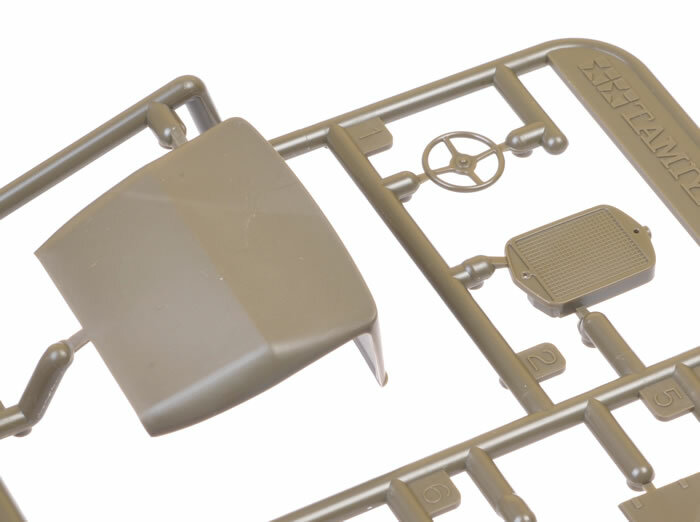 Tamiya’s 1/48 scale GAZ-MM comprises 47 parts in olive green plastic covering the vehicle and the driver, 38 more new parts in grey plastic delivering four soldiers riding in the cargo tray, a sprue of 54 parts providing weapons and accessories (previously available in the 2006 Soviet Infantry set) and two parts in clear. 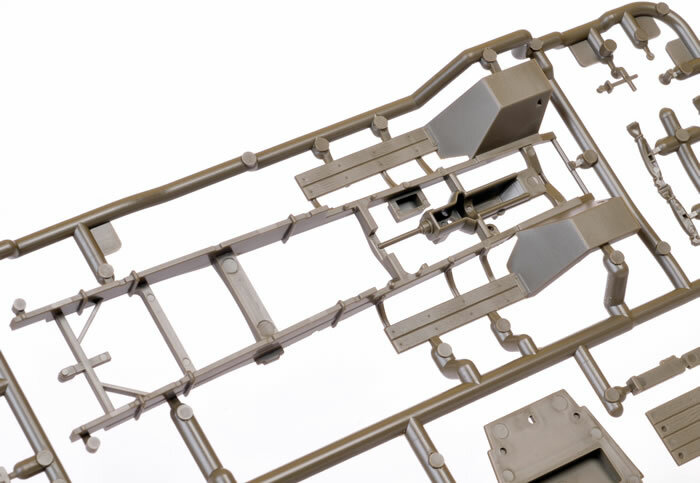 The sprues are everything we have come to expect from Tamiya – crisply detailed and perfectly moulded. 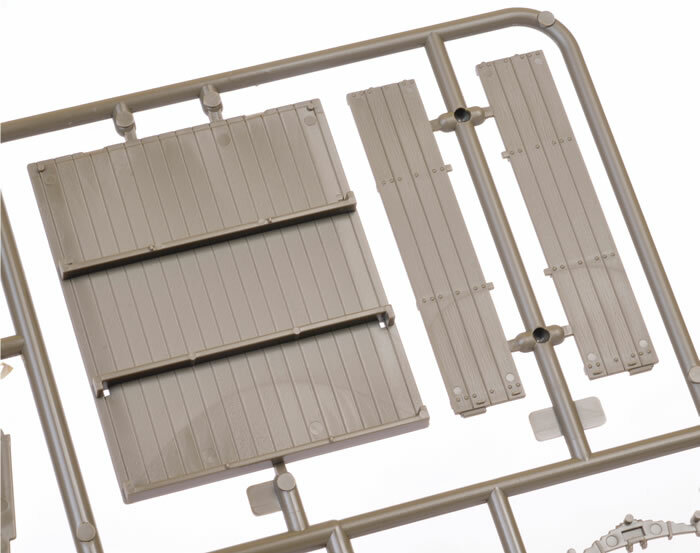 The one-piece chassis includes a representation of the lower engine and sump. Leaf springs and suspension are added to this, then the wheels are simply glued to the axles. The tyres are plastic – moulded with the outer face of the wheel hubs. Steering is set straight ahead. The interior is austere but mostly complete (we’re missing the pedals again though), and clear parts are supplied for the windscreen and the single headlight. A canvas tilt is provided in the raised position, but it would be easy to modify the model if you wanted to go convertible. A nicely detailed driver figure is also included, as are rolled canvas doors for the sides of the cab. The cargo area is made up from separate sides and floor. 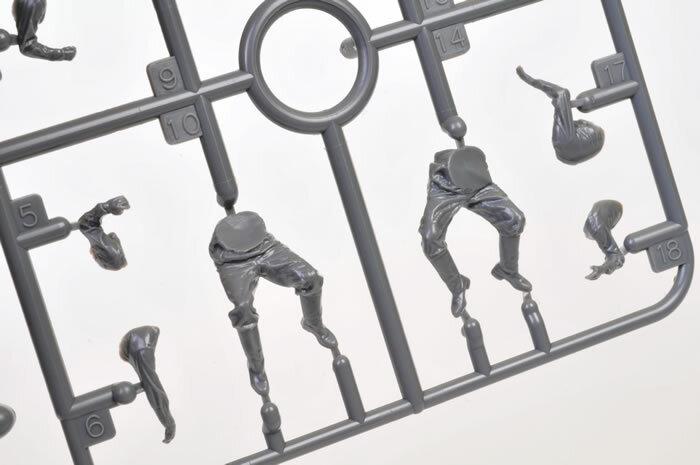 The four riders are made up from nominated parts on two identical grey sprues. These are brand new figures. 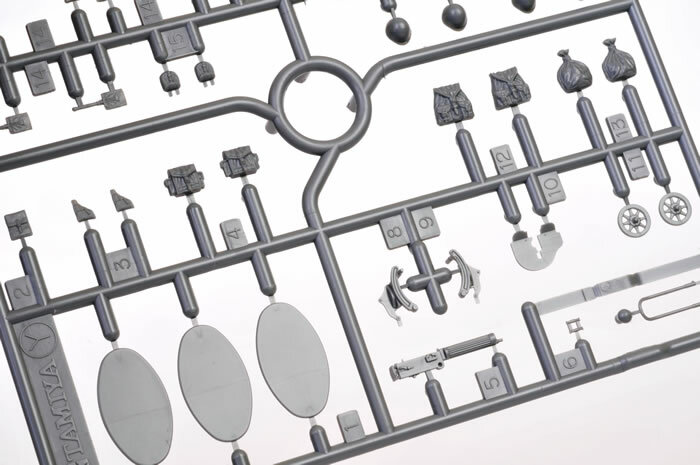 A good supply of weapons and spare parts are offered on the accessory sprue. 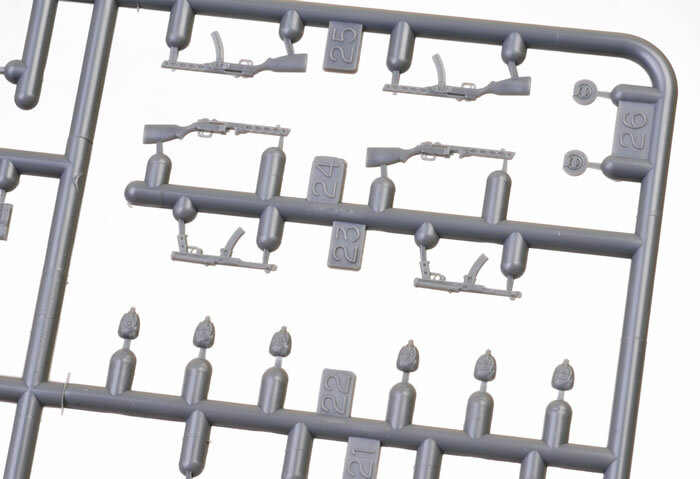 These include a Maxim M1910 machine gun, a DP light machine gun, small arms, packs and more. Decals are not supplied, which is fair enough considering most of these vehicles were rushed into service and any markings tended to be brushed-on slogans. 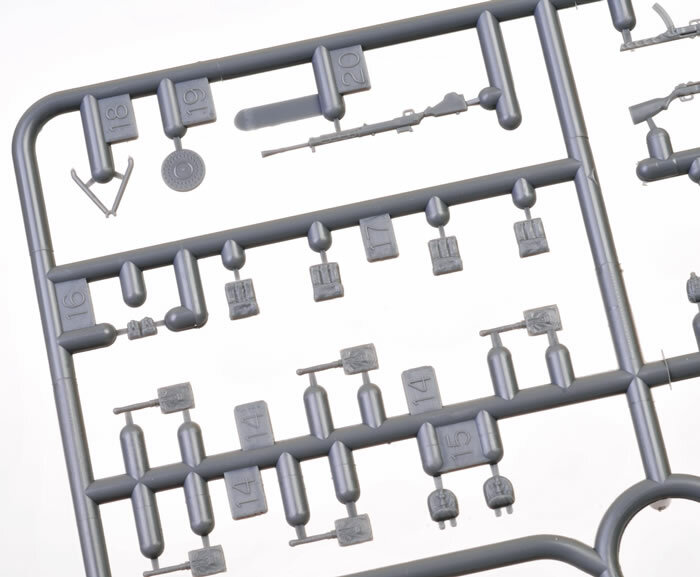 This is another easy to build but well detailed addition to Tamiya’s 1/48 scale Military Miniatures series. 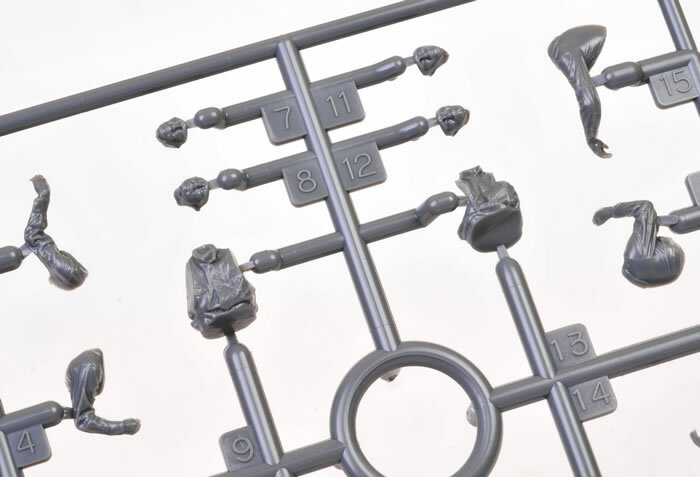 The GAZ-MM was a versatile vehicle that was used all throughout the war, so this model will be useful for many dioramas, including crossover aircraft subjects, or will be an attractive little model if displayed on its own.